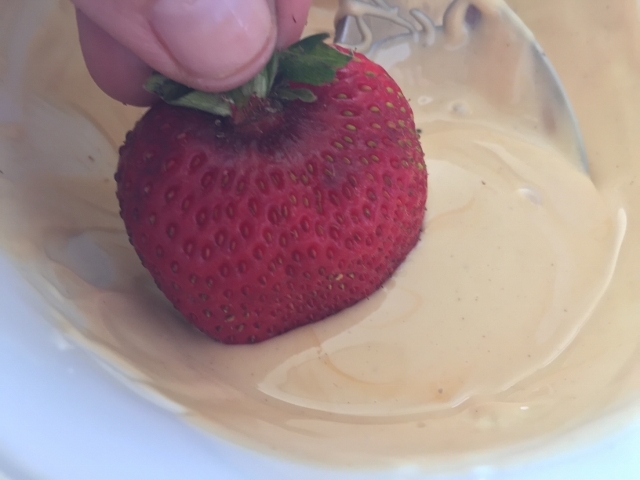 White Chocolate Peanut Butter Dipped Strawberries - Recipe! - Live. Love. Laugh. Food. Everybody loves a Peanut Butter and Jelly Sandwich. 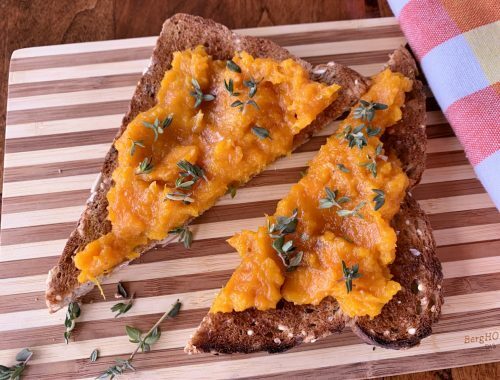 Well, here is a recipe that recreates the same flavors in your mouth without actually eating a full sandwich. 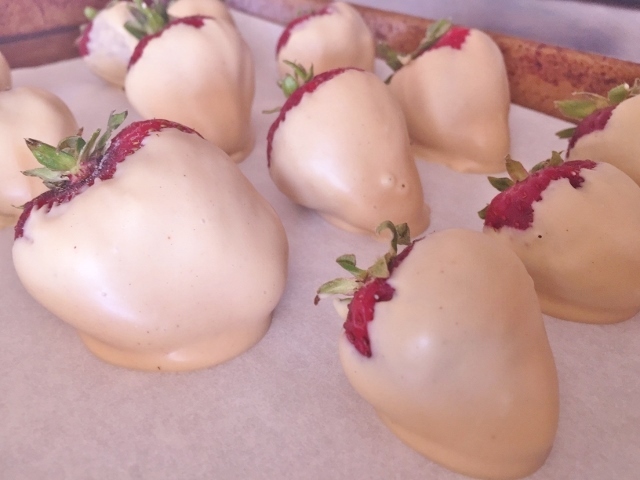 White Chocolate Peanut Butter Dipped Strawberries are not only a cinch to make, but they will remind you of the good ole’ days when you were at elementary school eating mom’s special creation. 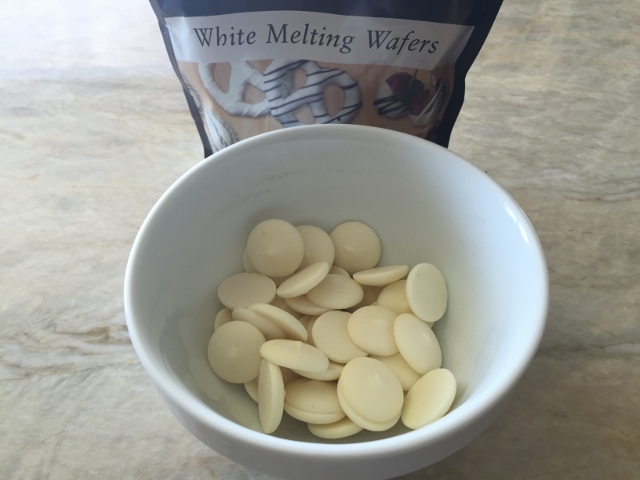 These little treats are made with white chocolate wafers and a dollop of peanut butter. How much easier can it get? You can serve these to your most sophisticated guests, casual acquaintances or your fun lovin’ kids. I think they are divine at a party with a glass of champagne! 1. 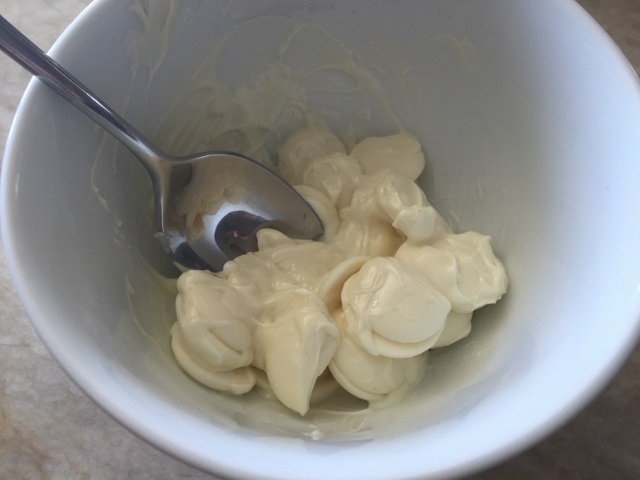 Place the white chocolate wafers into a microwave safe bowl. 2. Microwave the wafers for 30 seconds, remove and stir. 3. 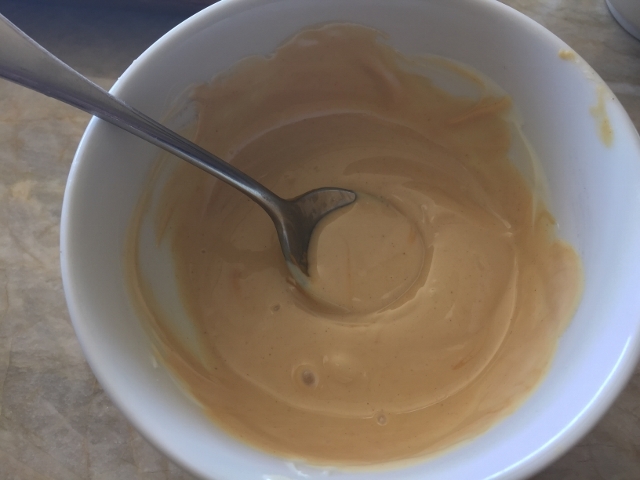 Microwave for 20 more seconds and stir again. The chocolate might not be completely melted, but if you keep stirring, it will. 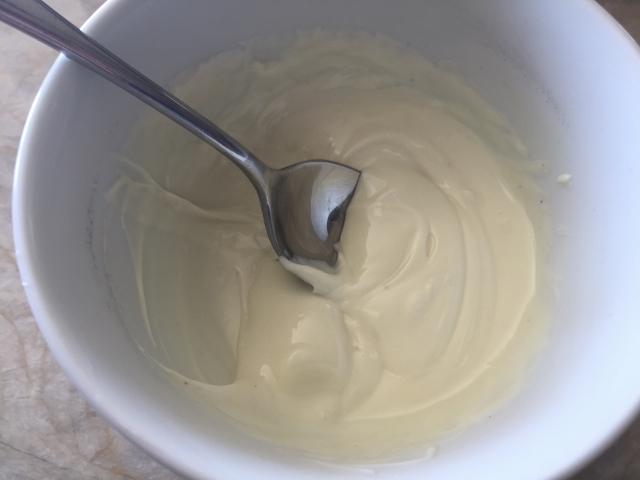 Don’t keep microwaving the wafers because the white chocolate will seize up. 4. 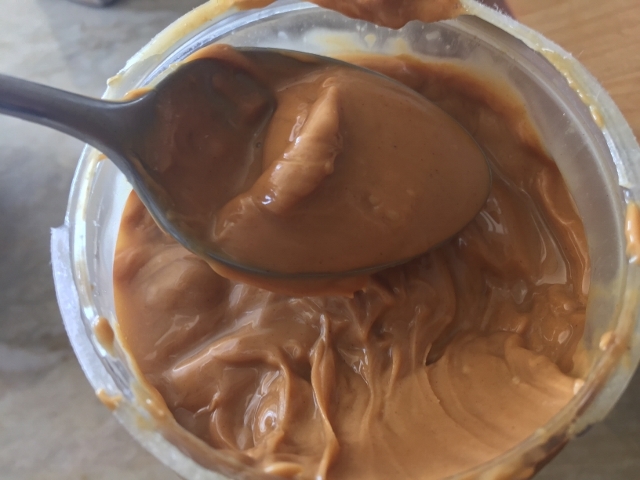 Add the peanut butter and swirl into the chocolate to combine. 5. 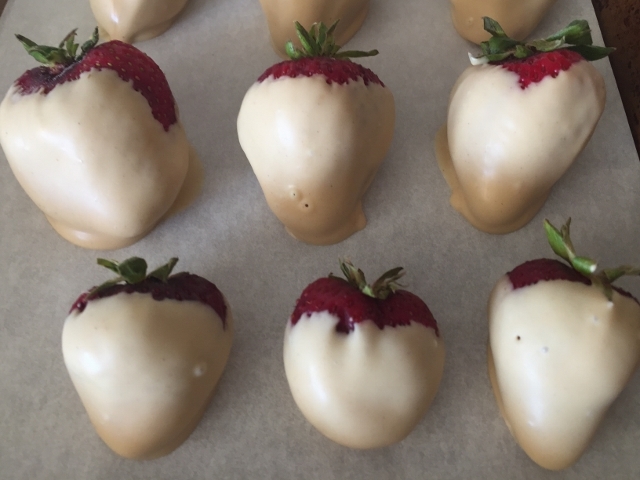 Start dipping the strawberries and place them on a parchment lined cookie sheet. 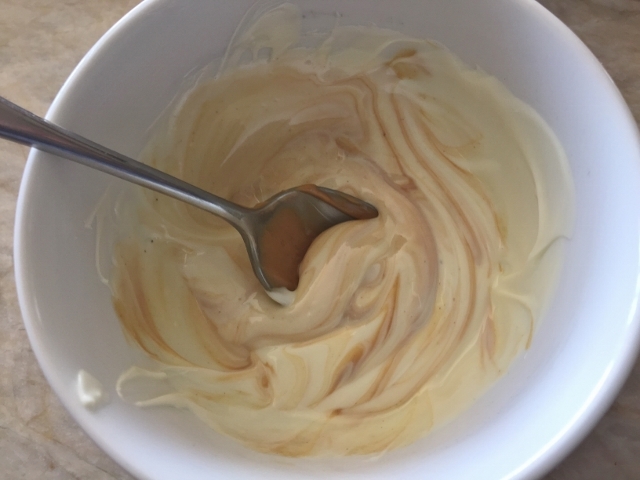 Refrigerate for 10 minutes to harden slightly. These little berries are a quick and easy dessert to serve with coffee or wine! Enjoy! 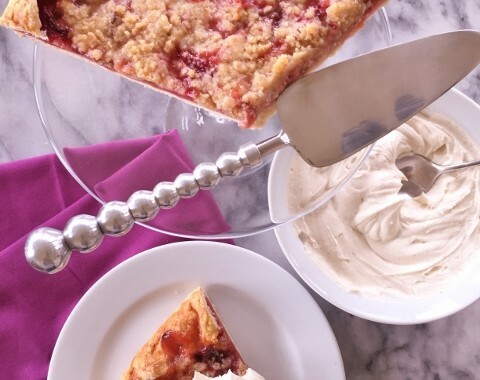 Strawberry Rhubarb Crostata with Mascarpone Vanilla Cream – Recipe! 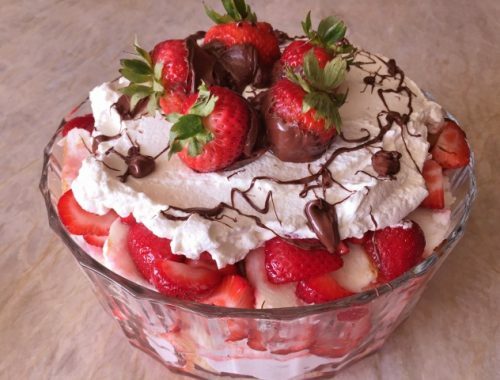 No-Bake Strawberry Angel Food Trifle – Recipe!